During your active summer 2019 holiday in Favignana, the beautiful island of Egadi islands, west coast of Sicily, you can visit in one day to the other three islands of the Egadi that Levanzo and Marettimo, thanks to excursions, visits guided tours or boat. 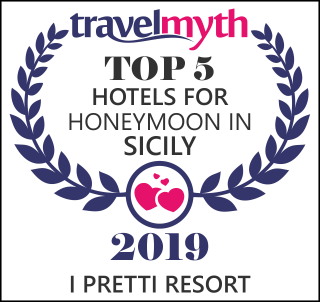 A trip between the Sicilian islands remain really very impressive experience for those who decide to spend their honeymoon or wedding trip, a romantic weekend or vacation with family and children in Favignana. Thanks to a hike in Marettimo and Levanzo, or thanks to a boat ride to Favignana, you will experience a new view from the sea, with colors that will fill you heart and soul, eyes and emotions for the whole family! You can ask at reception of I Pretti R.T.A. all the information for a boat, car or fisherman, also for fishing tourism, Marettimo and Levanzo. In addition, many excursions include the classic but exciting tour of the island of Marettimo with the entrance in all major caves, the tasty and typical lunch with local products in the restaurants of the island, a visit to the country Marettimo and the famous local honey tasting. On this island is all so... romantic!! Discover all packages and offers for a special summer vacation in Favignana or plan your honeymoon or wedding trip to Favignana! Besides Marettimo, during the excursion you can visit also in Levanzo, awaits an exciting discovery to learn about these beautiful islands Egadi!